“Come up to meet you…. Heads on a science apart…. What fans at this festival were not expecting was that very close to the main stage where Coldplay were performing, they could also try “Speed-Dating” with real-life scientists from Instituto Gulbenkian de Ciência (IGC), a Biomedical Research Institute in Oeiras, Portugal, which although just next door, was probably still unknown to them. 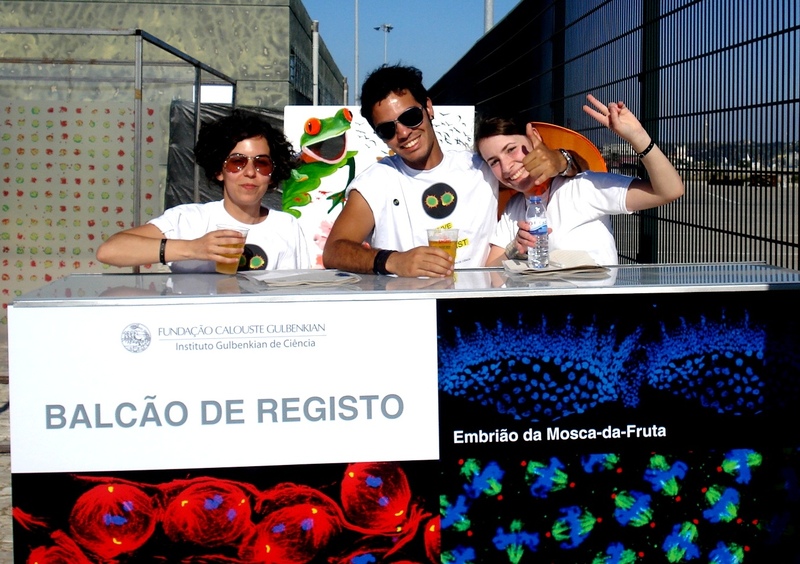 The IGC started in 2007 as a Fundraising program, a largely unexplored field in Portugal, aiming at studying and establishing alternative funding opportunities for biomedical research. 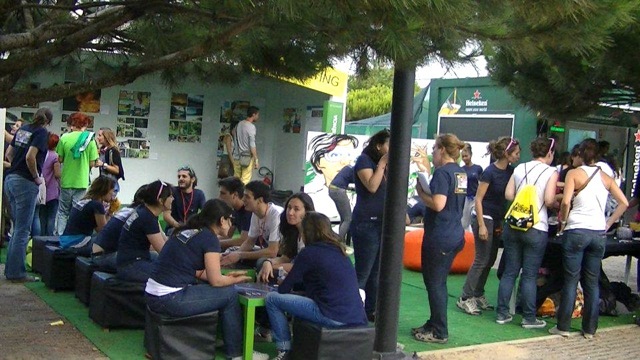 This unique partnership between the IGC and Everything is New (the promoter of one of the most important music festivals in Portugal) has allowed us to develop very innovative and successful outreach initiatives of informal science education and public dialogue. 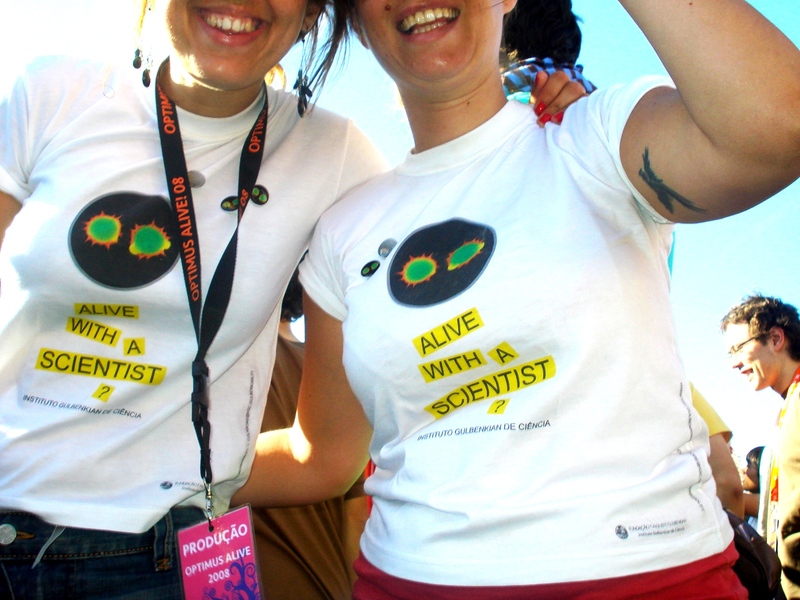 It aims to foster interactions between scientists and publics of all ages and socioeconomic groups, in a non-threatening and familiar pace, engaging citizens, patient organizations, companies, politicians and the general public in science and scientific culture, as well as raise funds for scientific research in Portugal. 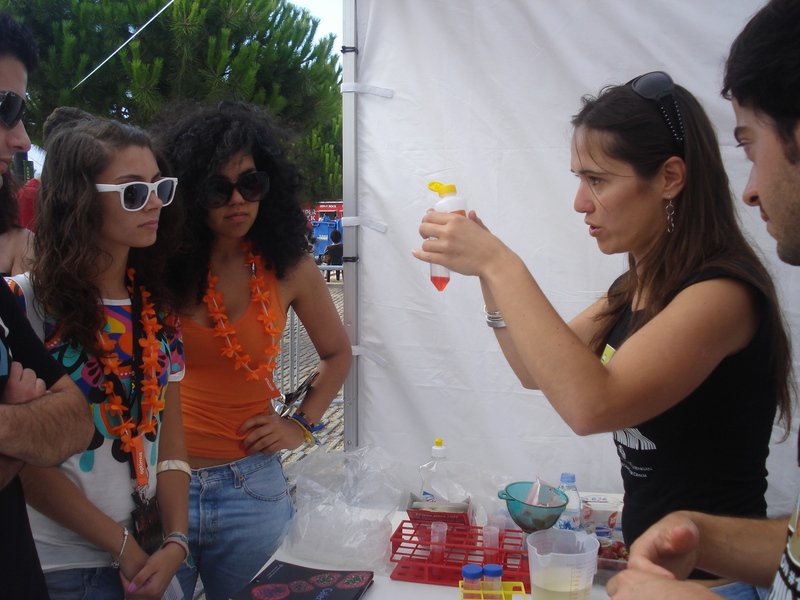 The partnership started at the end of 2007 and since 2008 the IGC has been, for four consecutive years, present at the Optimus Alive Oeiras music festival while the organiser of the festival, Everything is New (under the scope of its corporate responsibility project), has sponsored 8 fellowships for young graduates in Biodiversity, Genetics and Evolution. 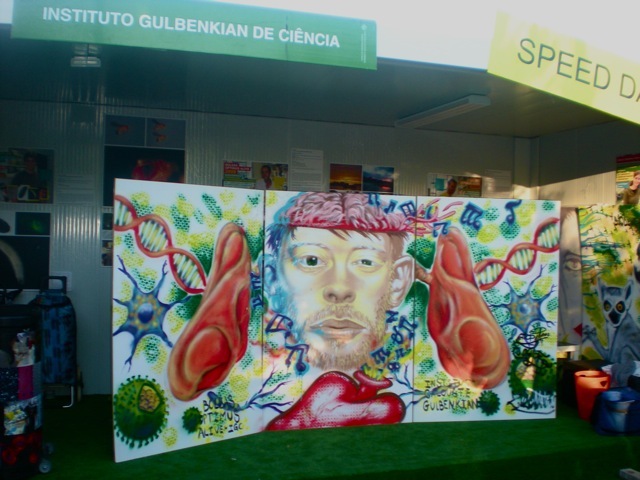 – Graffiti made by “Diálogo em Acção”, mixing music and science topics such as DNA, viruses and human body. This partnership also resulted in the sponsorship by Everything is New of 2 research fellowships per year for recent graduates to start their scientific careers in areas such as Biodiversity, Genetics and Evolution. Each fellowship is for a 12-month period, carried out between the IGC and a foreign institute. Optimus Alive-IGC fellowships are already a reference in Portugal and so far gave the opportunity to 8 young researchers to follow their vocations. Research projects have been developed at different IGC teams with collaborations at foreign countries such as Madagascar, Malaysia and Principe. – 4.5 % are more than 40 years old. These data indicate that the majority of visitors at the IGC stand are teenagers and young adults. Although considered difficult to reach in science communication, these age groups are very important target audiences if we aim to promote science-related careers, informed engagement in civic science-related issues, policies and fundraising. Therefore, efforts such as IGC presence at this music festival, must be made to reach these audiences. 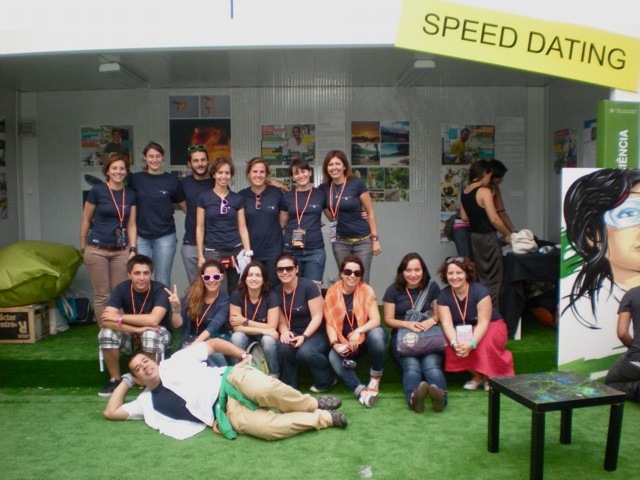 Why to do science outreach at informal environments such as music festivals? Having scientists at music festivals close to teenagers’ idols allow breaking down stereotypes making science closer to the general public. Scientific research in Portugal is still highly dependent on governmental funding and, contrary to other countries such as the USA and the UK, private funding by individuals and companies is still not very common and fundraising is not taken as a professional practice in most Portuguese scientific institutions. In times of a serious economic crisis in Portugal, the involvement of society in science funding is essential to allow the growth of scientific research that have been observed in the last two decades in Portugal.